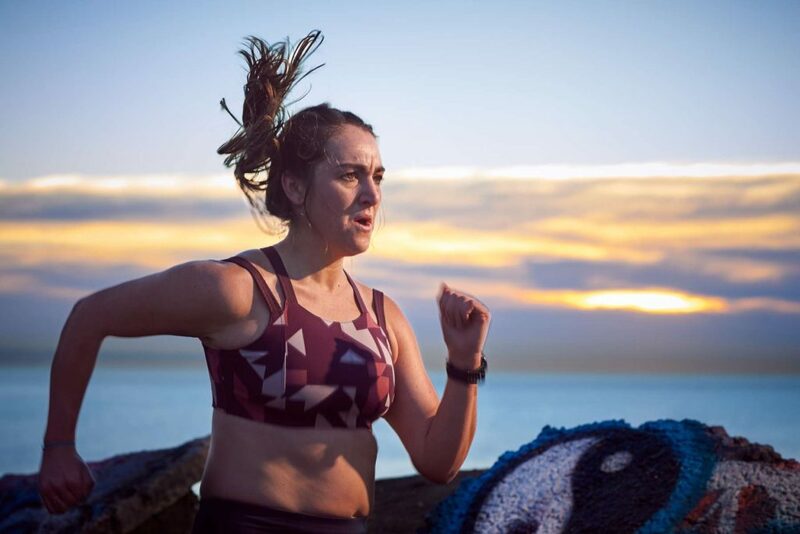 Kelly Roberts is a force in the body positivity movement, and you might know her from her popular blog and podcast: "Run, Selfie, Repeat", or her recent #SportsBraSquad initiative encouraging women to ditch their shirts and be proud and confident of their bodies. A runner who used to hate running, Kelly has experienced her fair share of body image struggles. In 2009, her younger brother unexpectedly passed away, and while struggling to manage her grief she gained more than 75 pounds. With the weight gain came insecurities and a new fight to regain her sense of self. Then one holiday morning, in an attempt to cope with her brother's absence and manage her grief and anxiety, she decided to go for a run. She didn’t even reach the end of my block before she had to stop and walk (something I can totally relate to with my own beginnings as a runner! ), but even that first experience gave her a sense of ease and clarity that she hadn't felt since his passing. Through running, Kelly has found a way to remind herself that even in the hardest times, as long as you can put one foot in front of the other, anything is possible. She has been named by Women's Running magazine as one of twenty women who are changing the sport, and her overall mission is to inspire people to say "yes" to themselves while making them laugh hysterically - because laughing, in her opinion, is the solution to everything. In this episode, Kelly and I talk allllll about running - how we got into the sport after a lifetime of not being athletic, how we approach goal setting, what we do when things get hard, and so much more. Kelly shares her struggles with imposter syndrome, how she aims to fail better, and why her race mantra is to "get ugly." We discuss pushing yourself outside of your comfort zone, the value of having impossible goals, and why we need to define success and strength for ourselves. Kelly also talks about the business of being a blogger and online influencer, which even though it's her job is a title that she doesn't love. She shares where her money comes from, how she works with sponsors, and what her boundaries and intentions are regarding social media. This was such a fun conversation, and whether you're a runner or not I bet you'll get something out of Kelly's energy and attitude.